Bequeathing your properties to someone means that you will meet this person on an occasion like a business, charity, family reunion etc. If you see yourself bequeathing someone that means you will give an order this person to do something or this person will be in a business with you. This dream also refers to good news and truth and walking on the path of god. Preparing a bequest in your dream means you will have a long life. Listening someone’s bequest means taking over a job. Reading a testament refers to the arrival of good news. Preparing a bequest in your dream means you will have a long life. Listening someone’s bequest means taking over a job. Reading a testament refers to the arrival of good news. If you are writing your bequest in your dream the interpretation of that is a long life. If you are listening to this bequest, you will take a responsibility. Reading a bequest in your dream means hearing news about your fortune. To see a testament in your dream points to the news that comes from a long distance. 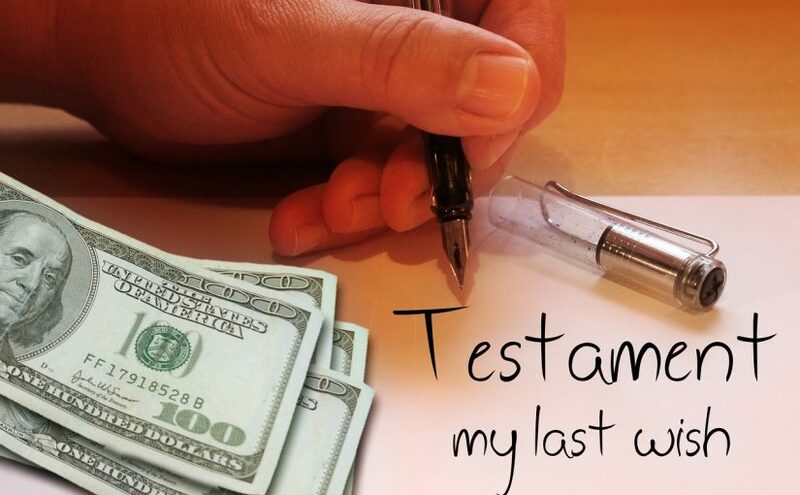 Seeing that you are writing your testament or seeing one of your relatives writes his/her testament means that you will live in health and happiness for many years. Giving your testament to someone as your trustee means that you are known as a good person by the people around you. You won’t have problems in your business and you will find someone to help you when you are in trouble. Giving a sealed bequest in your dream means that a promise given to you will absolutely be kept. Or this dream may refer to a promise you made and you should keep that promise. Seeing a sealed bequest in your dream means you will have right to speak and people will listen to you since they respect you. If you see someone is giving a sealed bequest in your dream means that you will be in charge of something; maybe in your business or in your house. If you are a businessman, it refers to profit. When you are single, it refers to someone who you can marry. If you see a lost sealed bequest in your dream, this indicates hardship in your life. In case you see yourself searching for a bequest even though it is not lost but just in your pocket, this dream is interpreted to some hard days and troubles but they will fade away in short time after. If you see a bequest with a torn apart seal, or just a torn bequest, that means your friends may turn their back to you and you will lose some of the respect that people show you. Seeing a bequest covered in dirt means you will lose some of your prestige and reputation. In another interpretation: A sealed bequest in a dream refers to your wife and children. If your wife is pregnant and if you see a sealed bequest in your dream, which means your child will be a boy.